Five Islands Body Co. Brunswick, Maine. They make a full line of body care products including lip balms with interesting flavors including caffe latte, carrot cake, cinnamon-tangerine and rosemary-mint. You can buy them online, or at one of the local shops listed on their website. My recommendation would be to swing by the Brunswick Winter Farmer’s Market to grab one while also enjoying other great vendors showcasing local produce. lulu’s garden. Westport Island, Maine. This all-natural product line includes smudge pots and lulu tubes all in creative, fun packaging. The lip balms are made with aromatherapy. According to their Facebook page, they will be opening Lulu’s Garden in the barn next month that will not only have lulu’s garden products and manufacturing but a barn shop with coffee, baked goods, fresh flowers, vegetables, accents & final touches. Mad Gabs. Yarmouth, Maine. Another Maine based lip balm manufacturer who has been around for over 25 years, they produce all natural and organic lip butters and smooches. They are environmentally focused and do a lot of community outreach. Dulse & Rugosa. Rockland, Maine. How about something a little different? The mother daughter team behind Dulse & Rugosa creates lip scrubs that help exfoliate your lips and get rid of dry, dead skin cells. They sell 1 oz jars of chocolate or mint flavored scrubs. Rooted Earth Farm. Casco, Maine. This farm makes organic vegan and hemp lip balms that are available through their Etsy store or at local craft festivals. They also offer monthly Community Supported Herbalism boxes filled with a mix of their organic skin care, teas, and herbal apothecary items. October Fields. Albion, Maine. I’ve blogged about this company before in my a to z post last year O is for October Fields | Finding my Zen with Clean Burning Candles. The highlight of that post was their soy candles but they come in handy for chapped lips too as they also make lip balms. I have their citrus rose one and it smells amazing. These are just a few of the Maine based products available to combat the dreaded xerochilia that inevitably come with the cold winter temps. Do you have a go-to solution for dry lips? Do you have a favorite flavor of lip balm? A nice twist to still including a Winter theme but keeping to the “X”pectations for this letter. The Dalai Lama cheated with mine – so I figured what was good for him was good for me and I went with it! I think there’s a lot of loose interpretation by most of us once we get to the letter X! It all counts. 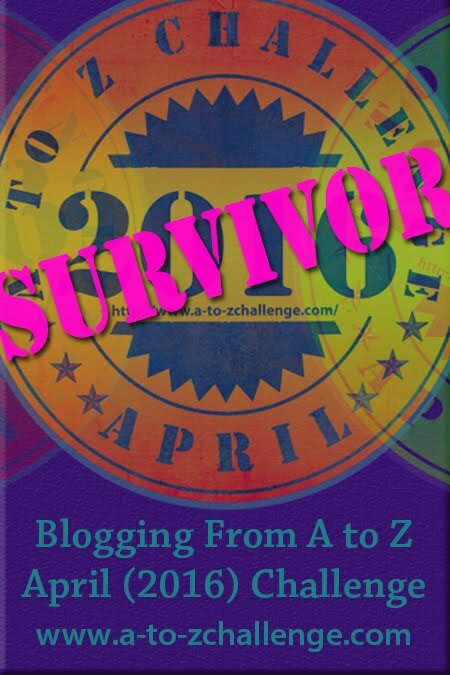 The key is we’re down to the wire almost done with another a to z challenge. Interesting that it happens with the dry heat too. Our summers are extremely humid so dry lips are only a winter problem. I use chapstick. And here in SoCal it’s almost always dry. But congrats on finding an appropriate X word. I used an “Ex” for mine. Chapstick is tried and true! It’s fun to find out what’s out there for the letter X. As long as it helps with dry lips, it’s a good choice, Here’s to the final stretch! Thanks you. I’ve enjoyed finding some good local options for dry lips. Great job posting on X. A new word to use. It was new to me too! Fun to find something that fit my theme. I am amazed at the extent of your research and the availability of locally produced lip balms. You really have a creative group there in Maine. I was amazed too at how many local options there were for lip balm. What is that old saying “necessity is the mother of invention”? You are so clever! I couldn’t find an X word but perhaps I could have used this has it helps your lips to thrive LOL:) Nearly at the end I wonder what our Z will be? It does help your lips to thrive! Ooh! This is an awesome list. My lips get particularly dry when the seasons change–like right now. Thanks! Extreme temperatures and chilly seasons can be brutal on our lips. Bonus to find a lip balm with your name on it! Visiting your blog for the first time because you left a comment along the way that I followed up on. As usual, during the #Challenge, I learned something new, a new word and some interesting resources you included. If you have time or interest, I wrote about Bookstores in April, their architecture, location and the great people who sell books. I will spend some time looking at more of your posts on an interesting theme. Cheers! Thanks for visiting. 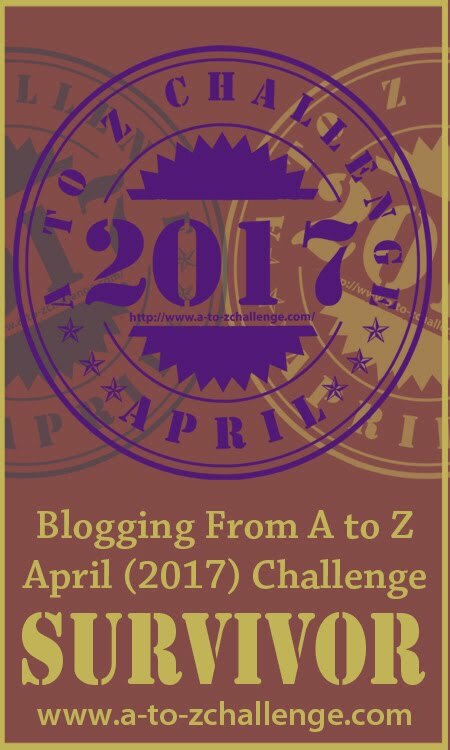 The a to z challenge is always a great time to learn fun new things. I enjoy visiting other blogs during the challenge too.